to approach any client type. I've been in the industry for nine years. I just started coaching with Eszylfie this year. The Taylor Method helped me qualify for my first MDRT Court of the Table by the end of July. Top of the Table is within reach. Eszylfie's sales process is exceptional, and he understands that sales skills alone aren't everything. He helps with your mindset, and gets you to think like a CEO instead of a sales person. I highly recommend his coaching. The wisdom from Eszylfie will earn me at least 10x my investment. I went from Top 500 to Top 11 at Transamerica in 90 days. Eszylfie gave me tools, resources, conviction and confidence to speak to people in such a way that there are no objections that one can’t overcome, except that they don’t have money. Everyone wants to tell you how to do it, but they aren’t doing it; Eszylfie is actually doing it. We are up 25% in Life production over last year since starting with The Taylor Method. The referral language alone has helped me increase my appointments, and we are currently working on writing larger cases to increase our premium credit! The Taylor Method had been instrumental in my development as a financial advisor. The language, education and confidence that the Taylor Method has instilled in me is unparalleled in the industry and helped me to triple my production in less than 2 years. Listening to the Taylor Method for just one hour a day has transformed my fact finding skills, closing ratio and all around performance for my clients. I highly recommend the Taylor Method for any agent from someone starting in the business to a seasoned veteran. In a span of months, I have already had great results with The Taylor Method! In the last week, I closed the amount of commission and number of clients that would have taken me a full quarter to close a year ago. I used to lean heavily on illustrations as a crutch; this approach would often confuse potential clients and bring the process to a halt. Using Taylor Method ideas, I have been able to simplify my language, get to my clients' core wants and concerns, focus on concepts, and activate them to do the next right thing. The "Need-Based" and "Greed-Based" concepts have helped me identify and solve my clients' problems more effectively. Excited to keep learning! I have been listening to your videos every morning for the last month, and I just closed the biggest case of my career. I'm 24 and just closed $40,000 in life insurance premium using your exact verbiage. You really are changing lives by helping people succeed and you have definitely and will continue to help me. Using the Taylor Method language totally changed the way I approach clients and run my meetings. I would not have become "Top 50" in the country at NYL (out of over 10,000 advisors) if it wasn't for Eszylfie's coaching. Not only did he help me implement effective sales language, I gained a tremendous amount of knowledge in practice management, office operations, and staffing that I could not have resolved on my own. My practice has been thriving in the months since joining. As a result of what I learned from The Taylor Method, my team and I closed our biggest case to date with an annual premium of over $60,000, and the clients were thrilled that we were able to solve a looming financial problem! The Taylor Method is second to none and it's an integral part of my business, which has grown 31% in less than a year! Our agency has diverse agents, from newly out of college to seasoned vets with 30 plus years in the industry. It has been difficult to find a sales method that resonates across these experiences and personality types. The Taylor Method has been a refreshing change. Eszylfie is that infamous high producing agent in the office that everyone wants to clone, shadow on appointments, record and replicate. The Taylor Method does just this. It has provided our agency a road map that all our agents are able to follow. The language is consistent across the sales cycle and has enabled our agency to effectively onboard and train more agents and increase revenue. Mr. Taylor's speech at MDRT New Orleans completely blew me away. He taught me something in that speech that touched my soul and opened my eyes to the opportunity in front of me. After that talk, I started practicing The Taylor Method principles on my way to becoming a Top of the Table producer in Brasil. Eszylfie Taylor's coaching has given me the language and tools to thrive in this business. With his guidance, I've improved each year in the business and closed some of the biggest deals of my career. The Taylor Method has launched my career to another level. I was able to implement the process and verbiage immediately to close some of the biggest deals in my 15 year career. My confidence in the sales process regardless of the profile of the client has never been stronger because of the content and language provided by The Taylor Method. Eszylfie Taylor's personal coaching is like the raft I needed in this industry to get above water. His ability to simplify the sales process is priceless! The Taylor Method IS NOT a curriculum. There are no chapters. Why? Because most of the time a sale does not happen with a step-by-step process you learned from a book created by your compliance department. Instead, it is what an ACTIVE, Top of the Table producer uses daily in his practice. Our process will help you get to a prospect’s core needs, wants, and desires in an efficient manner with simple, product agnostic language you can start using immediately. We will give you the language, process, AND mindset you need to thrive in this business. Our training content is broken out into the 4 stages of the sales cycle. 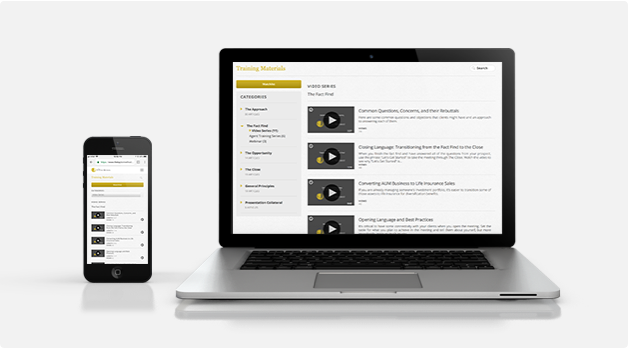 Over 100 Videos, Audios, and Webinars encompassing every phase of the sales cycle in an easy to use interface. 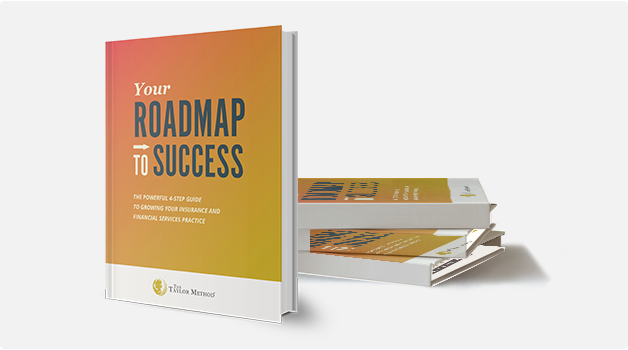 The original Taylor Method book with the 4 step guide to growing your insurance and financial services practice. Personalize your fact finder with your own logo. Access a network of professionals who provide complimentary services. Email and social media automation with compliance approved content to maximize your reach. One-on-one and group coaching available for teams of all sizes. Presentations you can white-label and use with clients. Wide variety of financial calculators to utilize for your client meetings. For manager’s looking to get the most out of their agents. Check out our collection of posts aimed at tackling the issues financial advisors face on a day-to-day basis.